Avengers: Endgame New Character Posters Reveal Who Survived Thanos' Snap and Who Didn't - View Pics! The internet is currently flooded with Avengers: Endgame character posters as the makers prep a month before the big finale of the Avengers franchise hits the theatres. The film is all set to release on April 26 and fans have waited with bated breaths after Avengers: Infinity War to witness this finale. The new posters released by Marvel are divided into colour and monochromes suggesting the members who survived Thanos' world-ending snap and those who didn't. The Black and White posters feature those superheroes whom we saw getting decimated in the last film. The coloured ones are of those who are still surviving and will fight back again. Avengers: Endgame: A R Rahman All Set To Compose an Anthem for Indian Marvel Fans - More Deets Inside! A happy surprise was revealed through these posters. The fate of the Valkyrie's was unknown but now we can all relax after seeing actress Tessa Thompson's colored poster. 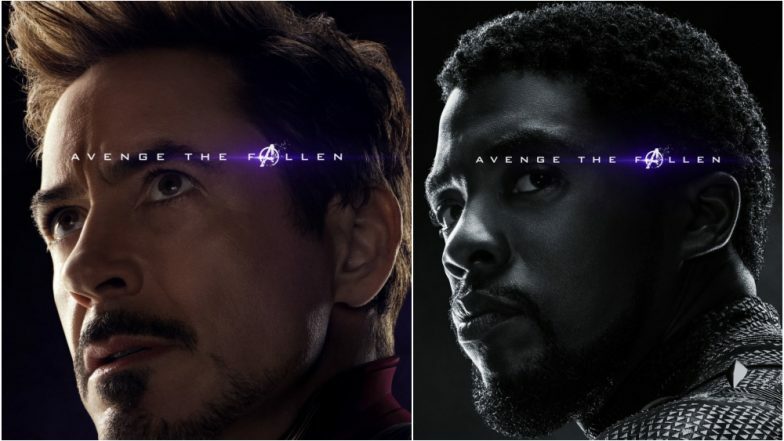 Undoubtedly, these posters are going to get fans speculating about the fate of those who are seen in Black and White as 'fallen' heroes and whether their return is expected in Avengers: Endgame or not. Avengers EndGame Runtime LEAKED; at Over 3 Hours, It Becomes Marvel’s Longest Film. The posters have definitely stirred up a lot of emotions among fans, especially looking at the Black and White ones featuring the superheroes who were seen being decimated in the last film. Avengers: Endgame is all set to hit the theaters on April 26th. Another Marvel release slated after Avengers 4 is Spider-Man: Far From Home which releases on July 5th.